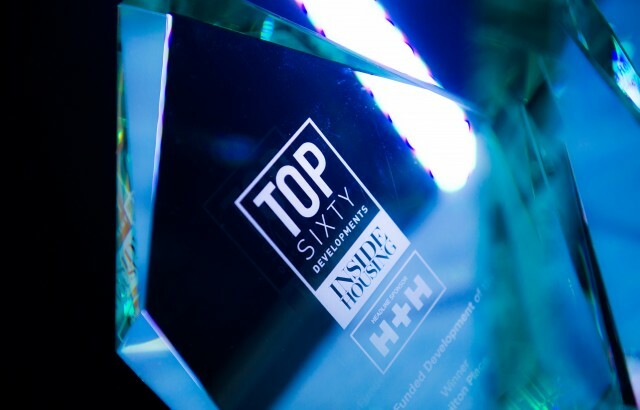 A STOCKWOOL-designed residential development scooped a top award at the Inside Housing Top 60 Development Awards ceremony in London last week – the fourth it has won in the last five years. Gunmakers Wharf, a development of 72 homes for sale (plus four shared ownership, 15 market rent and 30 social rent) made up of studio, one, two and three-bedroom apartments, regenerated a brownfield site that was formerly a derelict paint factory. The scheme, for A2Dominion, uses green roofing to create a natural habitat for local wildlife and reduce the effects of urban rainwater run-off. To find out more about the scheme, visit the project page.